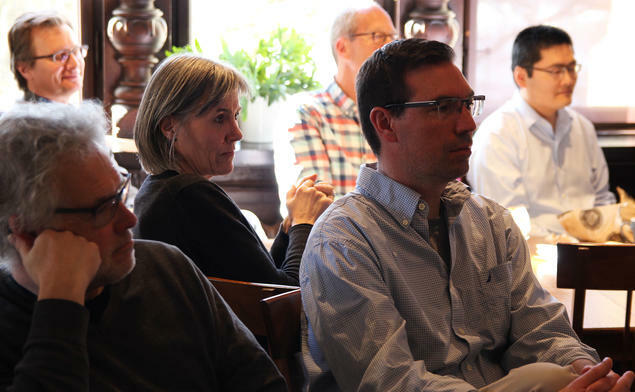 In our first lunch-time seminar this spring, Professor Saphinaz-Amal Naguib took us to Vardø, Norway’s most north-easterly city, near the border with Russia. She introduced us to a rich street art scene that depicts the large-scale depopulation of this arctic city. 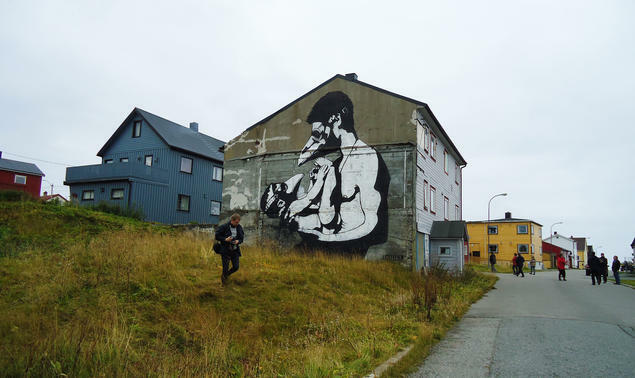 Norway’s most north-easterly spot near the border with Russia has been home to a flourishing street art scene in recent years, both depicting and—hopefully—discouraging further depopulation of the city. Many inhabitants have moved away, leaving a population of around 2,000. 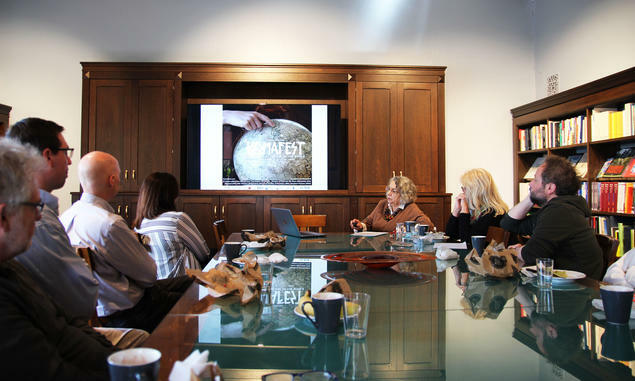 In the lunch-time seminar ‘Street art and sustainability in Vardø, North Norway’, Professor Naguib showed photographs and shared her investigations into this transformed town in the north of the country. Read more about the project After Discourse: Things, Archaeology, and Heritage in the 21st Century. Few houses in the most northern county of Finnmark survived the Second World War’s Operation Nordlicht, carried out by the German Army at the end of the war. Today, however, Vardø is the only city in the county that has maintained some of its pre-war buildings in a historical city centre. 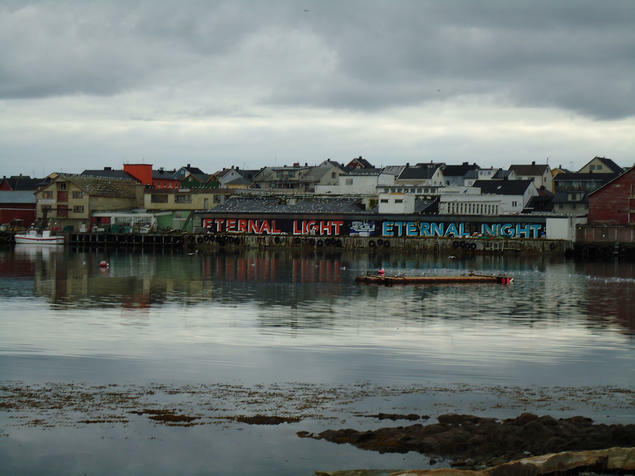 As part of the development strategy to restore Vardø, in July 2012 the Komafest art festival invited international street artists to decorate some of the city’s abandoned houses. The festival’s main aim was to ‘highlight depopulation problems in Northern regions’, and was initiated by local people. Naguib’s research is mainly on ancient Egyptian religion and art, and on heritage and museum studies. She works on the street art scene in Egypt, which bloomed during and after the Arab Spring, and she argues that street art is a ‘central instrument in spurring cultural and political changes’. Naguib argues that with the city development strategy Vardø Restored, the modern installations that constitute the Steilneset (‘witchcraft’) Memorial, and a rich street art scene, the city of Vardø may become like an open, outdoor museum without walls or boundaries: an ecomuseum. – This is heritage in the making. Naguib refers here to a definition of an ecomuseum as ‘a dynamic way in which communities preserve, interpret, and manage their heritage for a sustainable development. An Ecomuseum is based on a community agreement’ (Declaration of intent: Long networks, ecomuseums and Europe, Trento, May 5–8, 2004). – With street art, a street is made into a heritage site. But how long will a street art piece stay? – The artist paints for the moment. However, you can buy photos of Banksy’s work, for instance, on Ebay and Amazon. Then the art is transformed into something totally different. – This project not only puts Vardø on the cultural map and attracts tourists—it also has a strong, symbolic value.